Interview: On the Sunny Side of Zander’s Street – Ouch That Hertz! 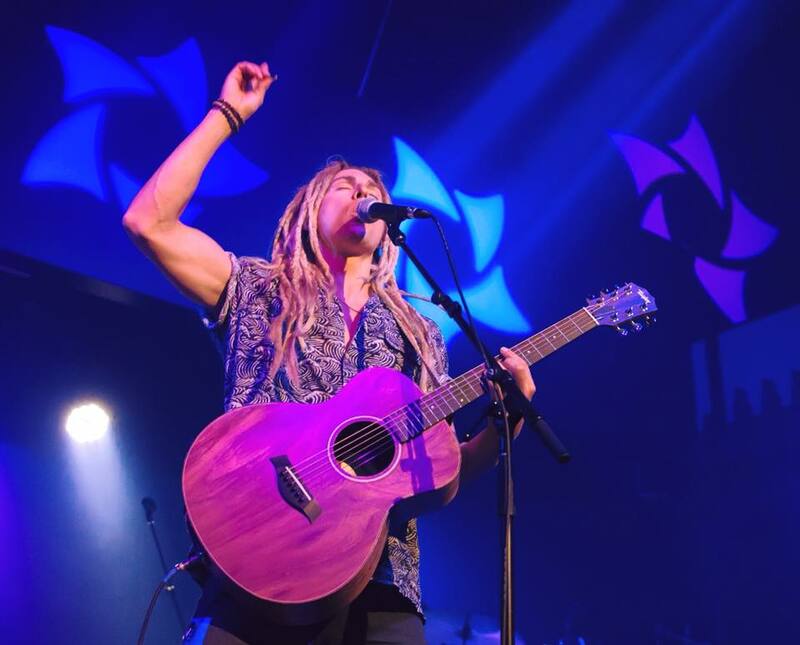 On the shores of Miami Beach, Florida- and with either a uke or a guitar in hand- reggae/pop artist Zander rises with the rest of his world. Casting his dreadlocks and cares to the wind, he soaks in his day, basking under a hot sun and greeted by the familiarities of the oceanside. Thoroughly sun-drenched and feeling fully rejuvenated, he sings, openly marching to the beat of his own drum as he braves a modern age that is in a perpetual state of negative overcast. Zander’s approach is unique in that he can still find and relish in the chance of positivity despite great faults, and compulsively turn over that upbeat manner into his music. Flashing toothy grins in the form of sweet and gentle licks, Zander’s musicality is a reflexive playful cadence that highlights the fun and the humor in human life. His compositions (based on reggae, funk, and pop fusion) are mellifluous and charged with a colorful energy- much akin to a restful summer’s day, or a grove-to-glass sample of fresh-squeezed Floridian orange juice. 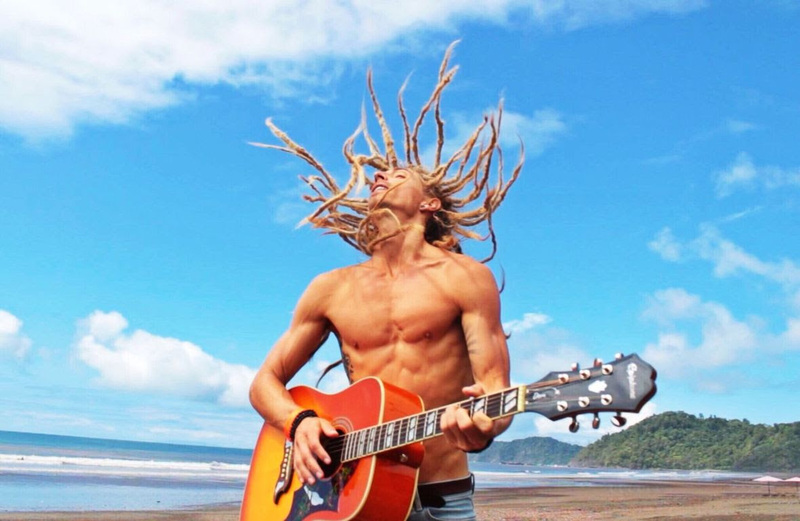 His music takes his fans to the beach and gives them a great experience of an endless summer. Zander is all about living in the moment and loving everything life throws at you- living proof of the aforementioned words by William Arthur Ward. I had the unbelievably inspiring and sublime opportunity to chat for a while with Zander and pick his brain about quite a few topics, such as his warming outlook on life and in his music, his guidelines to living mindfully, and the multi-continental direction that his life as an artist is taking. Enjoy! Ouch That Hertz: Hey, Zander! How’s it going, dude? Zander: Blessed! Thanks for having me, OTH! OTH! : So, let’s dive right into your music. I’m well aware that you’ve been consistently releasing music since 2015. I’m intrigued by the fact that your releases have typically been in the form of singles. Why just one-off singles? OTH! : You have a substantial amount of material- I’d argue you could have organized them into at least a quick stint of an EP. Were you previously uninterested in writing & releasing an EP or an LP? And if so, why? Zander: I’ve typically been into a release with a video. I like to create content with my music. I’ve piled up a lot of tunes. Here come the EPs, haha. OTH! : Let’s turn a focus onto your brand new single that premiered on The Pier: “Sunshine State.” Now, this time around, this release is part of an upcoming (and your first) EP, smartly titled Sunshine State of Mind. What made you change your mind in terms of organizing and collectivizing into an EP? Furthermore, what was the writing process like for you for this upcoming EP? Do you find that you needed to take a different mindset or approach to writing an EP, or does it feel like a breeze at this stage in your career? Zander: For me, the writing process always changes. It’s definitely a journey. I linked up with some talented musicians and producers known as The Pushers in Miami. I love their mix of organic and produced sounding arrangements. For me, music is very much a collaboration. Sunshine State Of Mind has a good mix of uptempo and laid back tunes. I can’t wait for everyone to listen. OTH! : Speaking of ‘breezy,’ let’s turn back to highlight the exact same attitude that “Sunshine State” purports. You’ve got this airy tact to your musicality- deep bass, gentle uke, and a vibrancy that’s all over a dripping jazzy undertone. Quite frankly, your musicianship is as refreshing as a fresh-squeezed glass of OJ. While I appreciate that you pay homage to the motto of your home state, I feel like it’s in deliberate juxtaposition to the recent circulating news cycle of depressing and harrowing events such as the Parkland Shooting. How do you not lose your sunny attitude amidst the humid and hungry socio-political climate? Zander: Amen! And Thank you! I love jamming on my Ohana Ukulele. And I love me some OJ, too! It’s definitely hard to stay positive and remain grateful when there is much trouble out there in the world. But, we are fortunate to be able to decide what we want to focus on. If we look towards the good and hope that can come out of a situation, we can be at peace. It’s important to help those around us whenever we can. The Parkland community really came together after the tragedy. Inspiring! OTH! : Furthermore, do you, as an artist, ever envision tackling narratives on these events head-on? Or would you rather redirect the focus to the positives in life- to use your platform as speech that highlights the goodness in life amongst the depravity? Zander: I think it’s a mixture of both. It’s definitely important to remain positive, but we can’t be ignorant to what’s going on around us. OTH! : In “Sunshine State,” your lyrics prompt listeners to disregard the negatives in life- to live in the moment. You reference the depression and weight that people carry around (“Bout ready to throw in the towel”) and the vicious cycle that permeates through even our circulates our news and media consumption (“Turn on the TV, another sad story”). Suggesting that they instead “get up, take a walk outside, open your eyes and look around.” I think this is a really crucial approach to modern life- a neo-Zen Buddhism sort of mindfulness stance blended with a Rastafarian respect and return to nature. These are all aspects of how to live in the moment and appreciate everything. Are you aware of these Buddhist and Rasta teachings? Were these the backing inspirations to your approach to life? Zander: Thank you! I’m glad you dove into the lyrics. It’s so easy to focus on the negative. A lot of the time, conversation can be about a bad experience. When you call up a friend, you can almost hear them looking for something to complain about. The media knows that tragedy and bad news will get more views. It’s unfortunate. We need to lift each other. We are all capable of greatness- each of us in our own and special way! I’m aware of Buddhism and Rasta teachings. Especially playing reggae, I think it’s very important to respect the history and culture of the music you play. Personally, I’m a Christian who believes in God. That’s what I grew up believing. I hope to keep growing in Faith everyday. OTH! : Furthermore, how do you actively practice what you preach in “Sunshine State?” What sort of steps do you take to living in the moment- to living well? And how do you find that it affects the direction of your music and artistry? Zander: I like to wake up everyday and think about what I’m grateful for. I had a consistent routine where I would quickly skate to the beach and check out the beauty of the ocean every morning. It really changed my perspective on life. OTH! : Is living in the moment/living with mindfulness of the self the backbone topic of your upcoming EP? Or are there other motifs? Zander: There are many motifs, but you are right in some ways. I definitely want to bring a fun and light message to most of my tunes. It’s all about love! OTH! : Speaking of living well, you seem to be off to a flying start this year. You recently hit the road with The Wailers on their national US tour AND you were featured on the lineup for Reggae Rise Up Florida. That’s an awfully busy year! What more do you have planned for this year in terms of touring? Zander: That’s the way I like it! If I could play a show every night, I’d be down! Touring with The Wailers was such an incredible experience. They truly are legends. It was an honor to share the stage with them so many nights. I heard some classic stories. I’m definitely going to stay on the road this year. [I] would love to do some more international touring as well. I’ve got a great fan base in Latin America. I hope to see them again soon. Pura Vida! OTH! : You’ve toured the Caribbean, the US, Latin America, and even Australia. How do you maintain such rigorous travel? How do you stay in the moment when you’re so busy moving from show date to show date; location to location? Zander: Yes! It’s all about keeping things simple and easy. No need to complicate. Just gimme my guitar, ukulele and we’re good to go. Like I said, I make sure I take moments to pause and reflect throughout the day. It’s important to eat well, work out, and find moments to rest. Can be tough though! It’s all about enjoying the adventure! OTH! : Not to jump topics, but I think it’s really rad that you were able to feature BERNZ on this track! What was it like collaborating with him? Have you ever worked with him before? Zander: He’s the coolest! I’ve been spending some time in his studio in Miami. He nailed that verse! Very versatile artist. I’m been listening to Mayday’s upcoming album. It’s sounding legit! OTH! : Well, Zander, I’m so excited for your the release of your Sunshine State of Mind EP! I can’t wait to hear more from you! Do you have any further single releases or music video releases before the June 22nd release date? Zander: Awesome! Great to chat with you! No other releases before then. Music videos will popping up this summer. It’s gonna be a good one! OTH! : Well, Zander, that’s about all the time that I have for you today. Before I let you go, is there anything else that you’d like to add?